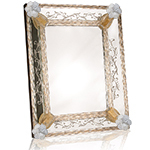 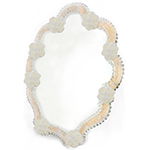 Venetian glass mirrors have long been a favorite decorating design element. 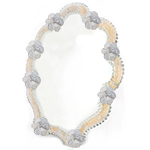 Our mirrors, made in the furnaces of Murano, are reproductions of some of the most class Venetian mirrors. 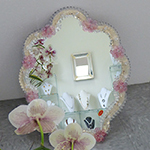 From top to bottom, these mirrors are painstakingly made and assembled entirely by hand.